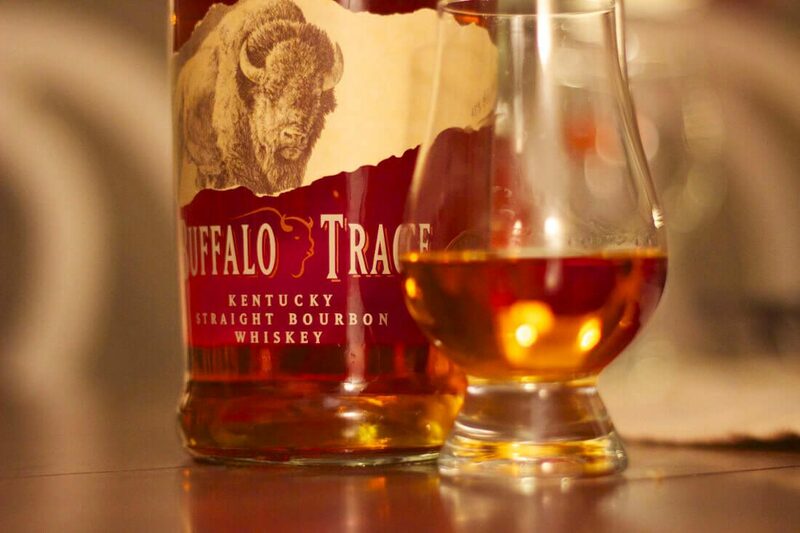 On the banks of the famous Kentucky River where the buffalo crossed on their ancient westward migratory route, Buffalo Trace is distilled, aged and bottled at the most award-winning distillery in the world. Famed for their 8 steps, from milling to filtration, of the time-honoured craft unique to bourbon. Beginning with the finest Kentucky and Indiana corn, selected rye and superior malted barley, the Master Blender handpicks a small number of the best casks, maturing for 8-12 years in charred oak barrels, to create a blend of finely crafted small batch bourbon, Buffalo Trace. Why not try a traditional Kentucky cocktail; the Mint Julep which originated in the southern United States. 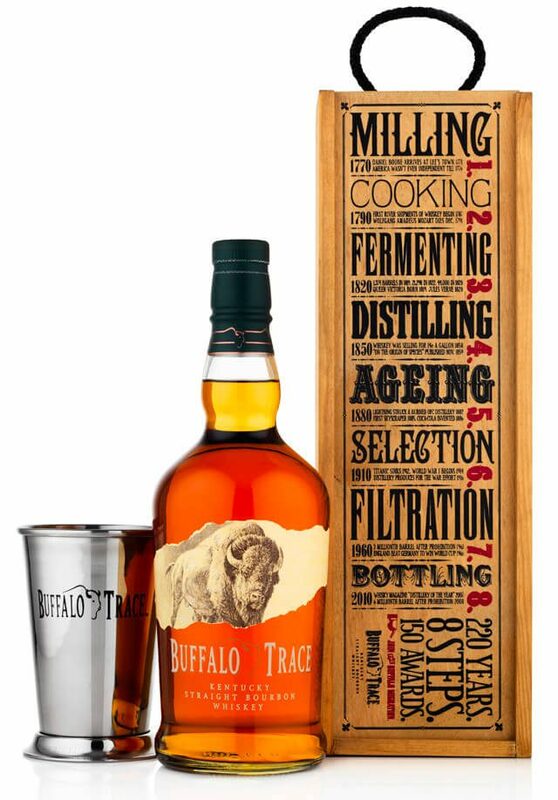 The tasting profile of Buffalo Trace, with its signature aromas of vanilla, mint and molasses, perfectly complements the four key ingredients of the Mint Julep serve, mint leaves, bourbon, sugar and water. The Mint Julep is traditionally served in a stainless steel cup and piled high with crushed ice. Hold by the bottom to allow frost to form on the outside of the cup. Ingredients: 50ml Buffalo Trace 12.5ml Sugar syrup, 4 Fresh mint leaves and Crushed ice. Method: In the Julep cup, lightly muddle the mint leaves with the sugar syrup. Fill with crushed ice + add the Buffalo Trace. Top with more crushed ice + garnish with a sprig of fresh mint. The (pictured) Buffalo Trace Gift Box is available at selected Harvey Nichols stores, including London and Manchester, The Whisky Exchange, Harrods and Hedonism from £36.99.